It's a little trite but not at all inaccurate to describe the untimely death of Tom Petty, the legendary rocker who fronted Tom Petty and the Heartbreakers for four decades, as "heartbreaking." The singer-songwriter-guitarist passed away in October 2017 at age 66, having just completed an anniversary tour with his band only days earlier. Suddenly, one of rock's most distinctive, prolific, and popular voices, the source of dozens of rock classics like "Free Fallin'," "American Girl," "Refugee," and "I Won't Back Down," was sadly silenced forever. Petty was a fascinating individual who left music a better place than he found it, keeping the gritty, simple, joyful spirit of rock music alive well into the 21st century. As if that weren't enough, he formed a supergroup called the Traveling Wilburys with his idols George Harrison and Bob Dylan, and also voiced Lucky on King of the Hill. Tom Petty was a national treasure, and his loss was difficult. Fans are as fascinated by the singer in death as in life, and here are some of the things we found out about him only after he died. In 2017, Tom Petty and the Heartbreakers embarked on their 40th Anniversary Tour, a 53-date extravaganza where the band played a set list comprised of only the most popular, carefully selected songs from their fruitful history. It was also, probably and secretly, Petty's farewell tour. His wife, Dana Petty, told Billboard that "he had it in mind it was his last tour and he owed it to his long-time crew, from decades some of them, and his fans." That's because just before he hit the road with Mike Campbell, Benmont Tench, and his other loyal associates, Petty learned that he had suffered a fractured hip. That made it extremely difficult and agonizing for the rock star to take the stage every night for four months, and yet he soldiered on. "Despite this painful injury he insisted on keeping his commitment to his fans," his family said in statement on Petty's website after he died. "He toured for 53 dates with a fractured hip and, as he did, it worsened to a more serious injury." Leading a massive rock 'n' roll road show with a bad hip placed Tom Petty in a heartbreaking state of constant, unbelievable pain. Standing on stage and playing the guitar night after night helped turn that fractured hip into a full-on broken hip — a diagnosis Petty received the day he died. 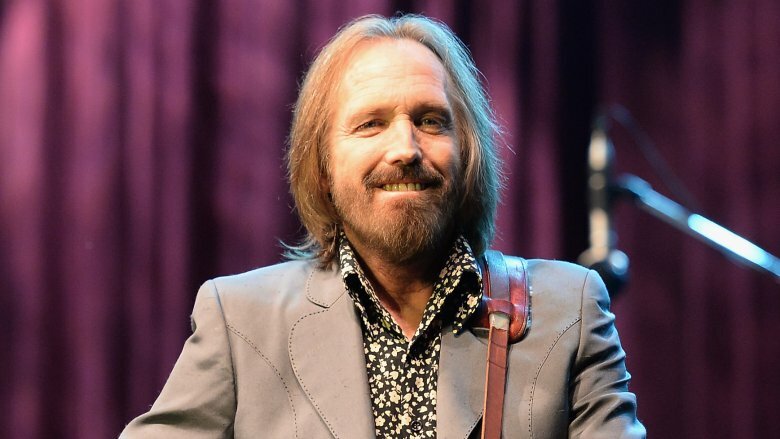 A hip replacement likely would've alleviated Petty's pain and suffering, and according to Dana Petty in Billboard, he was scheduled for new hip surgery not long after the conclusion of the tour. 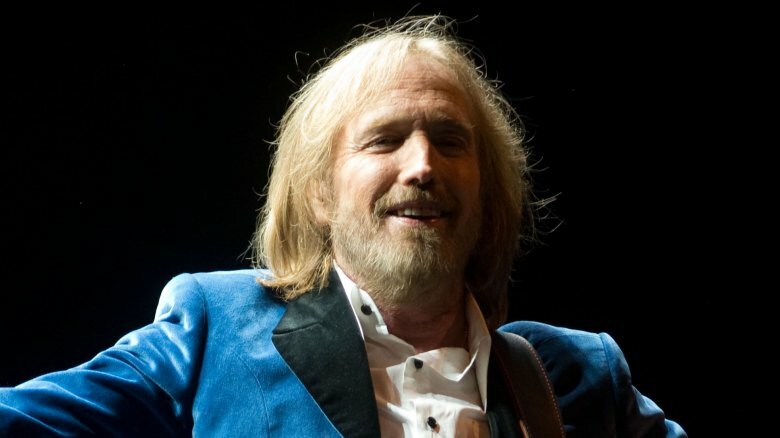 So why didn't Tom Petty go under the knife when his hip completely fell apart? He needed a break. "He was like, 'I just got home. I want some time. I don't want to go to hip replacement surgery. I want to be home with my wife and dog,'" Dana Petty related to Billboard. But all the while, Petty dealt with the physical agony of a very bad hip with a strong regimen of prescription painkillers. And that's what killed him. "Tom Petty passed away due to an accidental drug overdose as a result of taking a variety of medications," his family said in a statement after receiving a coroner's findings. "We knew before the report was shared with us that he was prescribed various pain medications for a multitude of issues including Fentanyl patches." 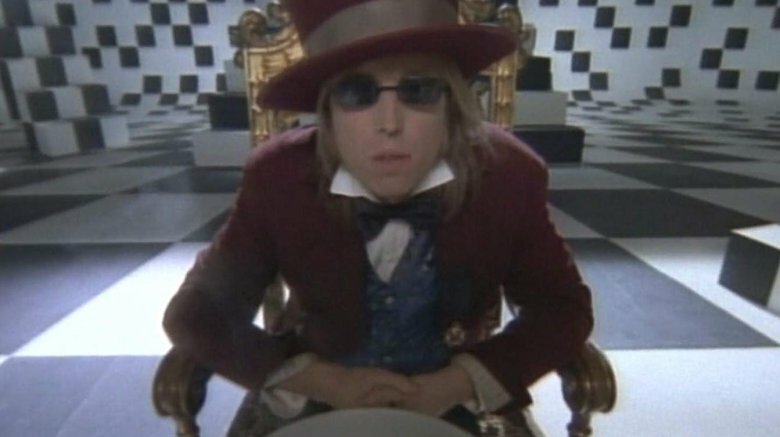 As if an increasingly problematic hip wasn't the source of enough worry and pain already, Tom Petty secretly dealt with some additional (and serious) health problems in the months preceding his death in October 2017. 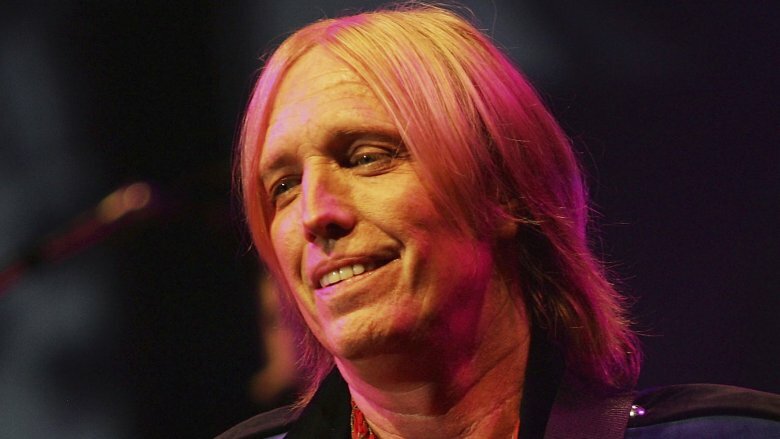 After a California medical examiner's office issued its final report and analysis of what suddenly felled the tireless rocker at age 66, Petty's family released a statement containing autopsy information, as well as the revelation that Petty "suffered from many serious ailments." Among them: knee problems and emphysema, an often fatal, often smoking-related disease that damages the lungs and prevents oxygen from getting into the body. 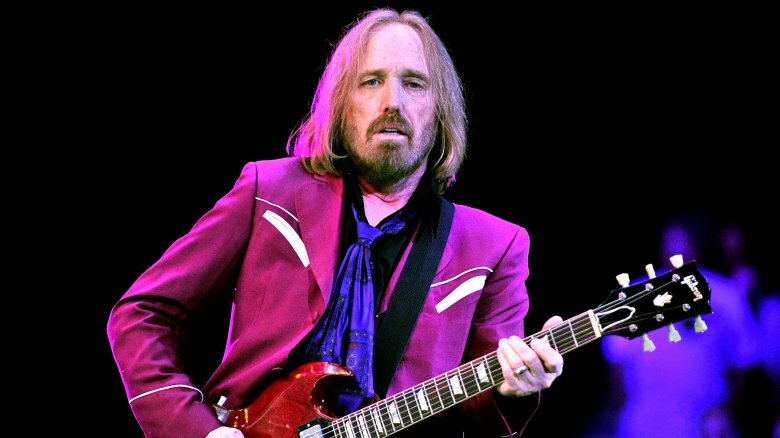 According to a Billboard interview with his wife commemorating the one-year anniversary of his death, Petty received that startling diagnosis "a few days before the tour was gonna start," roughly the same time he learned about his severe hip issues. Still, he wouldn't — couldn't — cancel that last tour. "He would do anything to help anyone — his bandmates, the crew, the fans. And that's why he did the last tour," Dana Petty said. "He was adamant." Just after what would be his final concert, Tom Petty sat for an interview with Randy Lewis of the Los Angeles Times. Published after Petty's passing, it painted the rocker as a man not content with a lazy retirement. "I just have to learn to rest a little bit, like everyone's telling me," Petty said. "It's hard for me," he added. "If I don't have a project going, I don't feel like I'm connected to anything." To that end, Petty had several (now lost or stuck in purgatory) projects he planned to start or resume. He loved curating music for his SiriusXM show, Tom Petty's Buried Treasure, and he'd wanted to continue doing that. He was also in the early stages of producing the second album by the Shelters, a band he'd mentored. 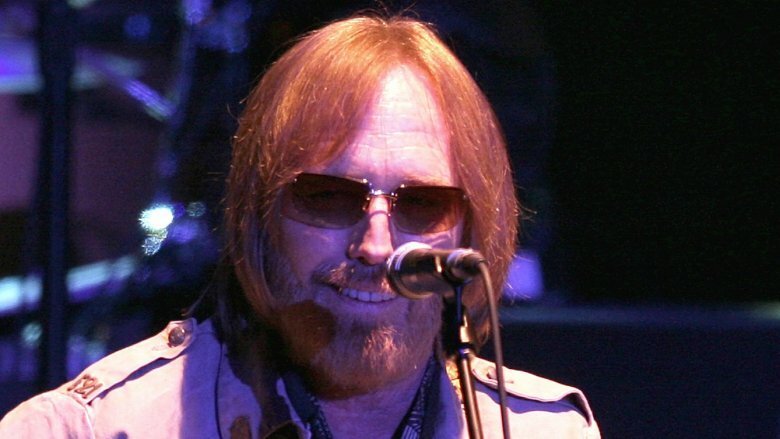 "They played me some of their new stuff and I was just blown away," Petty told the Times. Perhaps the biggest thing Petty had in store: an expansion and reissue of his seminal 1994 solo album Wildflowers. According to Rolling Stone, he'd originally intended for the LP to be a double album, and before his death Petty was in the process of adding back in several excised songs. After that, the plan was to tour the bigger and better Wildflowers with what Heartbreaker Mike Campbell called a "smaller-scale" tour, featuring special guest musicians, including Norah Jones. Tom Petty was forever a devoted student of music, but he had another passion that wasn't widely known. After Petty's death, the rocker's biographer, Warren Zanes, revealed to Rolling Stone his subject's abiding love for Maxwell House coffee, and his quest to brew the perfect cup of the stuff that's as unpretentious as a Tom Petty song. According to Zanes, years earlier, Petty and his wife, Dana, stopped at a diner near their home in Malibu for a cup of coffee. It was so tasty that Petty asked the manager what brand he used. It was plain old Maxwell House. Petty wasn't embarrassed for enjoying something so pedestrian. "He wasn't going to deny the truth of his experience" or "bow to any hipster sensibility that went against his own tastes," Zanes said. Instead, Petty asked if he could go into the kitchen to see how the diner prepared it. That's where he saw the other secret to great coffee: a standard issue Bunn Automatic coffeemaker. Petty promptly bought two for his home. A few months later, Petty hosted relatives at his home for a week of Christmas festivities, which included meals prepared by a private chef. This time, "the coffee tasted even better." The chef's trick: He used a knife to level measuring spoons of ground coffee, so as to nail the perfect coffee-to-water ratio. "From there on out," Zanes said, "that's how it would be done at the Petty home."